Sturdy Build, Unique Design, and a High-Quality Camera. Everything you expect from your favorite brand which re-incarnated a few months ago. Here are the basic specs this phone’s base model which is available at Rs. 14,999. ● Hybrid Micro SD Card support available. This phone has a very premium design for a low price, and it is one of the best performing phones out there. This is my personal favorite phone from the remaining phones we are going to talk about. Oppo’s former Flagship F5 is one of the most premium design phones the company has to offer. 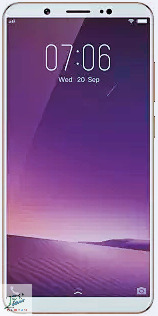 It is have very beautiful edge to edge screen mimicking the luxury Samsung S8. The Phone is a bit pricey for its performance. Here are all the features oppo has to offer for a price tag of Rs. 19,999. ● 32 GB Onboard Storage. As we can see that this phone has super high camera for taking selfies. So if taking your selfies is a priority for you, then you should go with Oppo F5. A phone from the same brand at the same price, but much better performance. For the same price tag as Oppo F5, the F1+ performs much better when long-term use is considered. Even though the Megapixels on the camera are lesser, the camera performs almost the same. Here are the main features of this phone available at Rs. 19,990. So if your priority is more storage, and you don’t care much about the selfie camera. Then F1+ should be your choice over Oppo F5. Also, F1+ has a better edge to edge display compared to the F5. ● 3225 mAh big Battery. As we can clearly see that this phone has the best selfie camera among all the phones discussed till now. This is my second favorite phone in the list after Nokia 6. It is available at a discounted price of Rs. 19,990 from all online stores. 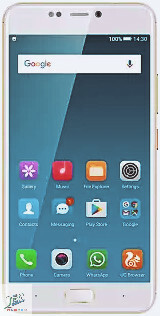 A slightly older phone but still one of the top selling phones from Gionee. The best feature about this phone would be its amazing battery, which is the best among all phones under 20,000. Here are all the features of this phone. ● 13 MP Rear, 16MP Front Camera. The only good thing about this phone as we can see is its camera. The looks seem to be a rip off of iPhone and Samsung. But still, if you care about battery life, this Gionee A1 is a very good choice. Our favorite phones from this list are Nokia 6 and Vivo V7+. But we hope this article will help you make an informed choice. If you do buy something, let us know in the comments.